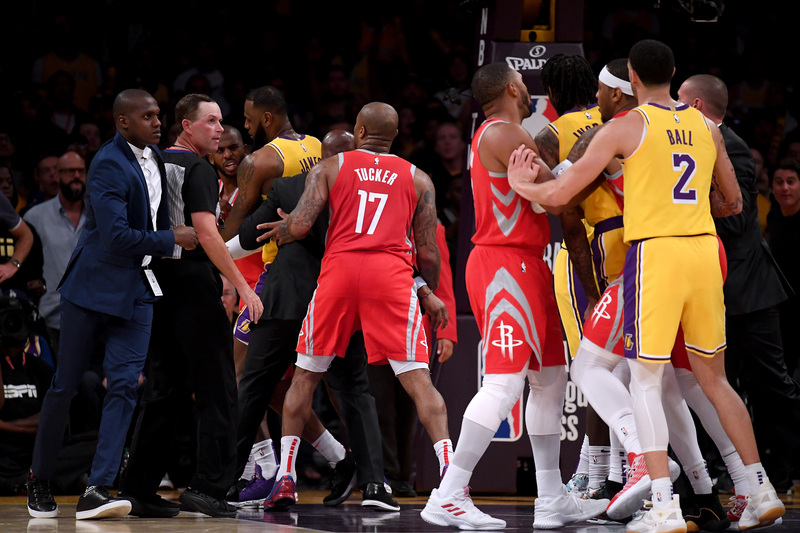 Things took a turn for the worst during a NBA game where the Los Angelas Lakers took on the Houston Rockets. Late into the 4th quarter of the game, a hug brawl broke out between members of both teams. Brandon Ingram, forward for the Lakers, Rajon Rondo, guard for the Lakers, and Chris Paul of the Rockets have all been suspended for multiple games following the altercation. What’s even crazier is that players from both teams weren’t the only ones ejected. 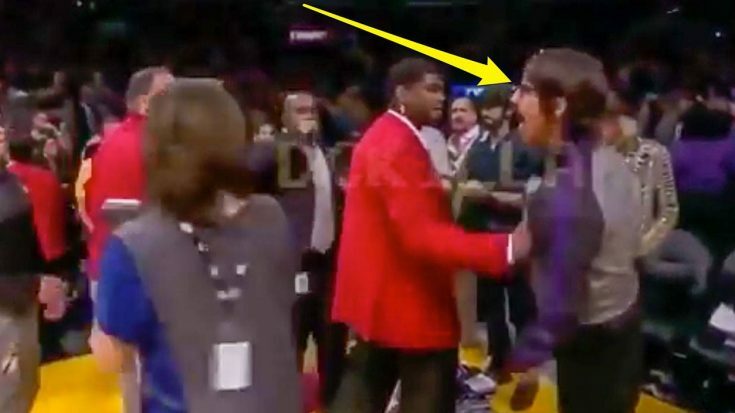 Anthony Kiedis of the Red Hot Chili Peppers, who was in attendance that night, shouted vulgar words at Chris Paul. Upon doing so he was quickly ejected from the game. Watch below. You gotta imagine that Anthony is gonna be hearing about this incident for a long time. No matter where he goes, whether he’s walking down the street, at the store, eating dinner, people are going to come up to him and ask him about what happened. Anthony has yet to speak on what happened, though the events play out pretty plainly. Talk about REALLY getting passionate about the game…. Anyway, enjoy this nice song by the Red Hot Chili Peppers.